Manual Stretch film is a highly stretchable plastic film which stretches and wraps products together in such a way that it stays bounded together consuming less space and securing it at the time of transit. A high quality manual stretch film offered by us comes in clear as well as coloured options. This manual stretch film is ideal for use with both hands while wrapping pallets for conversion right on the warehouse location. It has good load stability which increases the security of the product in question. 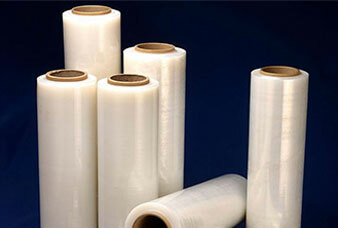 This is one of best facility that we offer with our Manual Stretch Film. These manual stretch films clings on both side of the pallet making it better for storage at the warehouse. Manual Stretch Film can be a cost effective option as it doesn’t require any machinery as compared to Machine Stretch Film.